The employee experience has never been more important than it is today. Think about it. The lists of “best places to work,” whether they’re national, local, or industry-specific lists, include companies that are usually the most successful. The best companies treat their employees well because, as clichéd as it sounds, happy employees do equal happy customers. Plus, it’s important to remember, that employees are customers too, and they deserve and expect the same service experience internally as they do externally. And because the employee experience plays a significant role in the success of any organization, it’s essential to equip employees with the tools and resources they need to do their jobs effectively and efficiently. This means rethinking the service delivery process and shifting our mindsets as service providers away from that of closing tickets (submitted by end users) and instead prioritizing the needs of employees first. Traditionally, in the world of IT service management (ITSM), we’re accustomed to dealing with incidents and issues, requesters, and end users. It’s been about receiving a ticket, closing the ticket, and moving on to the next item in the queue. But, with the addition of smartphones and growing use of automation and AI-enabled processes in everyday life, consumer behaviors and expectations have evolved when it comes to interacting with service providers. As we’re fully into the “era of the customer,” this same mindset has made its way into the workplace. At Samanage, we’re firm believers that we’re also living in the “era of the employee.” Employees in organizations of all sizes and types are now used to navigating dozens of applications on their smartphones, which exposes them to endless and easily accessible information. Such that they get immediate answers to their questions. Long gone is their patience for waiting on hold, or repeating their issues to multiple service-provider personnel. Instead of focusing on how we can provide for employees, we (as service and support providers) often focus on what we want employees to provide. The plethora of communication tools employees use, from email to Slack, serve a separate purpose for each department, and the volume of messages (which often include requests) can disturb the work day, decreasing productivity and efficiency. So how do we rethink our approach to service delivery and support so that we can reduce (and hopefully eliminate) these hurdles for the employees within our organizations? Quite simply, we need to make employees’ jobs easier. If the organization can give employees what they need, when they need it, it can make everything frictionless so that employees can perform to their maximum ability. The great thing is, your organization likely already has the building blocks for what you need to carry out “employee service management.” The processes and best practices are already there in IT. So, pose this question to the organization: “Are we using best practices to ensure employees get what they need – no matter what the request is?” Is there one place an employee can go to place these requests? Then, consider these five steps to build a unified service management platform for the whole organization. Get the organization involved: Enlist stakeholders from multiple departments in the organization to help build workflows because an IT professional won’t necessarily understand all the facets and needs of each team. Have these stakeholders define what will help them improve service delivery and set requirement definitions for what service providers will see. Think about specific requests employees need fulfilled: What’s the process when a sales manager wants an update to a pricing page on the website? Chaos occurs when requests are communicated across different channels, sometimes they require multiple approvals, and team members don’t always have access to certain programs or projects. Think about specific requests employees have and the processes needed to get them completed. This will help you build out a comprehensive service catalog, which is like a menu of services your organization’s employees can choose from. Test. Test. Test: Test every type of service. Go through each workflow step-by-step, make sure the right people are getting the right things at the right time. Train employees and service providers, and make any changes if necessary. Launch: Make sure the stakeholders are on board and will advocate for the new strategy. Encourage employees to use the system to cut down on wasted time. Get creative and plan ahead for enabling service portal adoption. Continuously improve: Continual service improvement (CSI) is a key ITIL best practice. Apply this mentality to your broader employee service management strategy so you can identify service goals and measure success across the board. Each process, change, and workflow impacts employees. You can measure the impact and measure employee satisfaction. Use these measurements to modify service delivery on an ongoing basis. Ideally, the organization’s service management strategy serves as the ultimate service platform for employees. It’s where they can go to get any information or answers they need, when they need it. Employee access to a one-stop shop for getting answers. Service level agreements (SLAs) that make it easy for employees to know how long that service delivery will take. No more worrying whether the right person will get the request with automated workflows. Clear visibility into the status of any given service request. An increase in productivity and efficiency, leading to less frustration and more time spent on the jobs your employees were hired to do. Ultimately, employees’ needs are now more diverse and their expectations are higher. No longer do they have time to sift through multiple communication platforms, waiting on answers to questions that could be answered in minutes, not hours or days. In this era of employee service management, employees are looking for simplification and exceptional service. By using employee service management, organizations can bring employees closer to the services they need and create a better working environment. 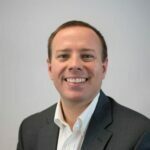 With more than 10 years in the industry, Matt is a lover of creating technical solutions and customer implementations. As the Senior Manager, Solutions Consulting at Samanage, he leads the talented team of solutions consultants who work with customers of all sizes and across many different industries to create tailored service management solutions using ITSM and ITIL best practices. Using IT service management (ITSM) practices and an ITSM tool outside of IT is a very popular trend. But how do you do it successfully? An overview of the Christmas ITSM Meet Up – open to any and to all, with details on locations, times, and why you might like to join us.